In a digital world, maintaining control of privacy and confidential data is paramount. But as technology continues to grow and expand, so does the world of cyber-crime. As more personal information is being transferred to online portals, the risk of digital theft becomes increasingly more prevalent. When your personal information falls into the hands of a stranger, it can be harmful to not only the clients you serve, but also your personal or professional reputation. In the event of this type of security breach, where can you turn? O’Hagan Meyer attorneys are equipped to manage all of your cyber liability needs. Our firm members act as Breach/Incident Advisors for private companies, not-for-profits, and professional service firms throughout the country. O’Hagan Meyer stands ready to counsel clients on ethical implications, reputation-management, and the subsequent risks following any data breach. Your safety and protection is our highest priority. 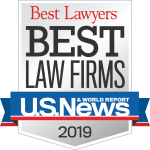 If your security breach evolves into a situation that requires legal defense, O’Hagan Meyer has an experienced team of cyber liability attorneys in place to efficiently and successfully resolve your matter. Recuperation of losses following a data breach should be comprehensive and anticipatory. O’Hagan Meyer ensures that no stone is left unturned, enabling your business/personal reputation to revert to its former caliber and credit. At O’Hagan Meyer, we will work to defend your privacy and reputation—digital and otherwise.